Crusade for Love, Freedom and Equality! The medieval “Crusade” was a holy war. For a conflict to be officially considered a Crusade, it had to be sanctioned by the pope and conducted against groups seen as enemies of Christendom. For centuries, Jerusalem had been governed by Muslims, but they tolerated Christian pilgrims because they helped the economy. Then, in the 1070s, Turks (who were also Muslim) conquered these holy lands and mistreated Christians before realizing how useful their good will (and money) could be. The Turks also threatened the Byzantine Empire. 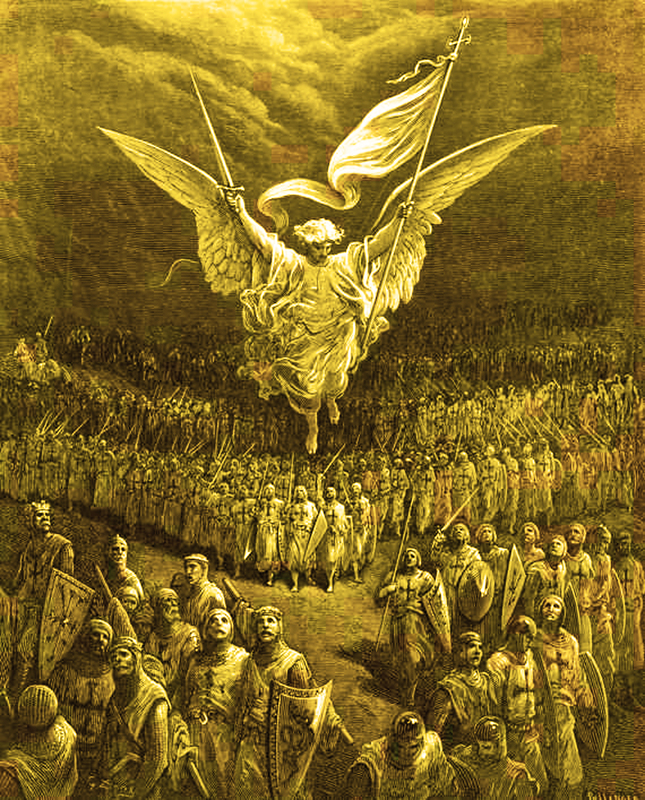 Emperor Alexius asked the pope for assistance, and Urban II, seeing a way to harness the violent energy of Christian knights, made a speech calling for them to take back Jerusalem. Thousands responded, resulting in the First Crusade. There were as many different reasons for crusading as there were crusaders, but the single most common reason was piety. To crusade was to go on pilgrimage, a holy journey of personal salvation. Whether that also meant giving up virtually everything and willingly facing death for God, bending to peer or family pressure, indulging blood lust without guilt, or seeking adventure or gold or personal glory depended entirely on who was doing the crusading. Historians have numbered eight expeditions to the Holy Land, though some lump the 7th and 8th together for a total of seven crusades. However, there was a steady stream of armies from Europe to the Holy Land, so it is nearly impossible to distinguish separate campaigns. In addition, some crusades have been named, including the Albigensian Crusade, the Baltic (or Northern) Crusades, the Children’s Crusade, the People’s Crusade, and the Reconquista. Upon the success of the First Crusade, the Europeans set up a king of Jerusalem and established what is known as the Crusader States. Also called outremer (French for “across the sea”), the Kingdom of Jerusalem controlled Antioch and Edessa, and it was divided into two territories since these places were so far-flung. Some historians — particularly Crusades scholars — consider the Crusades the single most important series of events in the Middle Ages. The significant changes in the structure of European society that took place in the 12th and 13th centuries were long considered the direct result of Europe’s participation in the Crusades. This view no longer holds as strongly as it once did. Historians have recognized many other contributing factors in this complex time. Yet there is no doubt the Crusades contributed greatly to changes in Europe. The effort of raising armies and providing supplies for Crusaders stimulated the economy; trade benefited, as well, especially once the Crusader States were established. Interaction between the East and West affected European culture in areas of art and architecture, literature and education. And Urban’s vision of directing the energies of warring knights outward succeeded in reducing war within Europe. Having a common foe and common objective, even for those who didn’t participate in the Crusade, fostered a view of Christendom as a united entity. 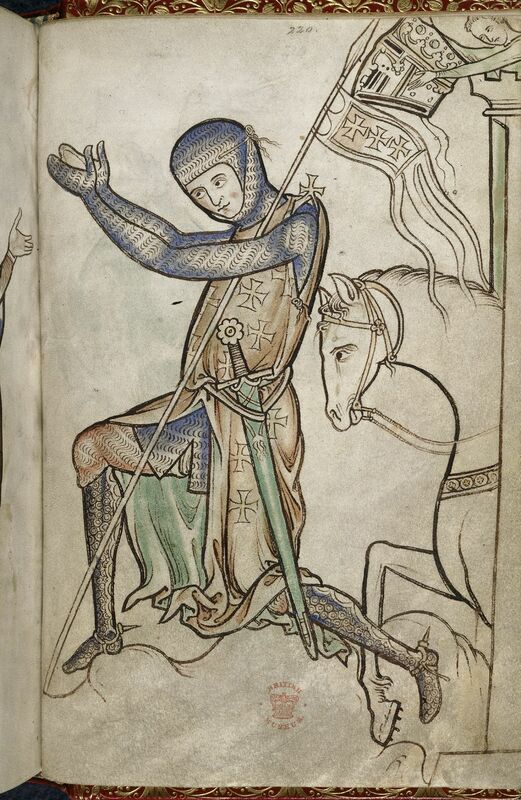 A knight kneels before setting off on Crusade, his servant leaning over the turret with his helm. Illustration from the Westminster Psalter, 13th century. This entry was posted in Uncategorized and tagged Europe, First Crusade.